Create a Hummingbird Habitat. Tips To Get The Job Done. Creating a hummingbird habitat is simple for anyone to do. The first question to consider when creating a hummingbird habitat is where do hummingbirds live? Hummingbirds are strictly birds of the Americas with a range extending from South , Central America, and the Caribbean including all of the United States except Hawaii. They are found in both Northern and Southern Canada as well. You also need to understand that they are tropical birds who migrate back and forth from the warm to the cold climates and vice versa depending on the seasons. So if you live in north America, you will see hummingbirds only in the spring, summer and early fall. Only a few states such as Arizona and California do host them all yearlong. Hummingbirds are wild birds with a diverse habitat. They live in forests, deserts, lowlands, and mountaintops depending on the species. They live in the country and in the cities. If you create a habitat for them, they will live in your backyard or property. We have heard of hummingbirds living on the roofs of buildings in big cities. Some people put out hummingbird feeders and never see a bird. This can be disappointing and many, believing the hummingbirds will never come, give up too soon. Here are some tips to easily create a Hummingbird Habitat that will attract many hummingbirds. 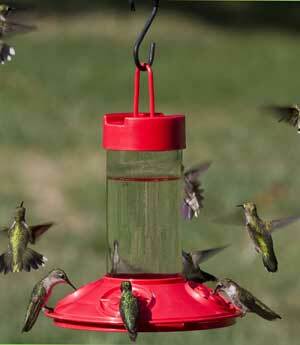 When you put out your first feeders, tie red ribbons around them or in the area to initially attract hummingbird. Another option is to set out red objects such as glazing balls. Hummingbirds will spot them as they pass on their migration routes. Hang several feeders apart from one another to attract many birds because they are territorial. Male hummingbirds will guard a feeder and chase other hummingbirds away. When placing feeders apart from one another they should be out of sight of each other. The Audubon Society recommends creating hummingbird friendly neighborhoods. The hummingbirds are losing some of their natural habitat, as a result they are in search of new territories. We can help by creating hummingbird habitats in our backyards and neighborhoods. Ask your neighbors to hang feeders and large red ribbons around your neighborhood. Mention this at community events and owner association meetings. Sponsor hummingbird exhibits at your community events. Hummingbirds add to the natural beauty of any community. Plant flowers that attract hummingbirds in your yard and town park. 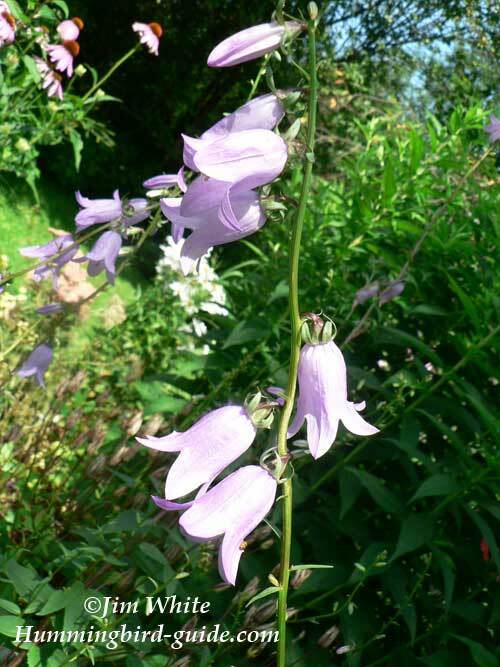 We put together some of our favorite hummingbird flowers to consider. Many wildflowers are also enjoyed by hummingbirds. Protect the wildflowers in your area. Help to protect the forests and wooded areas of your locale. Plant trees and shrubs in your yard and your community. If you can't plant trees consider providing places for them to perch such as fence posts or swings. Have you ever seen a hummingbird swinging on a swing! Besides perching, hummingbirds need trees to nest in. Some trees also provide them with the downy nest material they use in nest building. You can also supply natural nesting material with our hummingbird nesting material kit placed in your yard. Wouldn't it be great to find a hummingbird nest! You may just do that when observing your hummers flying away with the material you supplied! Hummingbirds need insects for protein which is their primary source of nutrition to survive. Creating a natural environment with flowers, trees and shrubs provides an environment favorable to insects and in turn provides hummingbirds with their needed source of protein as well. All birds are attracted to water. Hummingbirds are no exception. 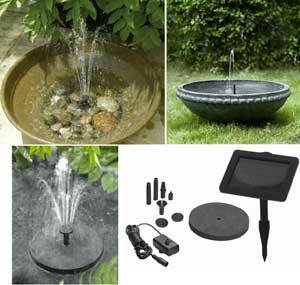 There are special misters and bird baths for hummingbirds. you can expect a lot of hummingbirds. Believe it or not, but creating a hummingbird friendly haven has enabled some species to expand in areas that have had shortfalls in the environment that hummingbirds needed to survive. For example, in the Southwest where recent droughts and forest fires depleted the natural habitat, humans compensated for the loss by providing a hummingbird habitat.